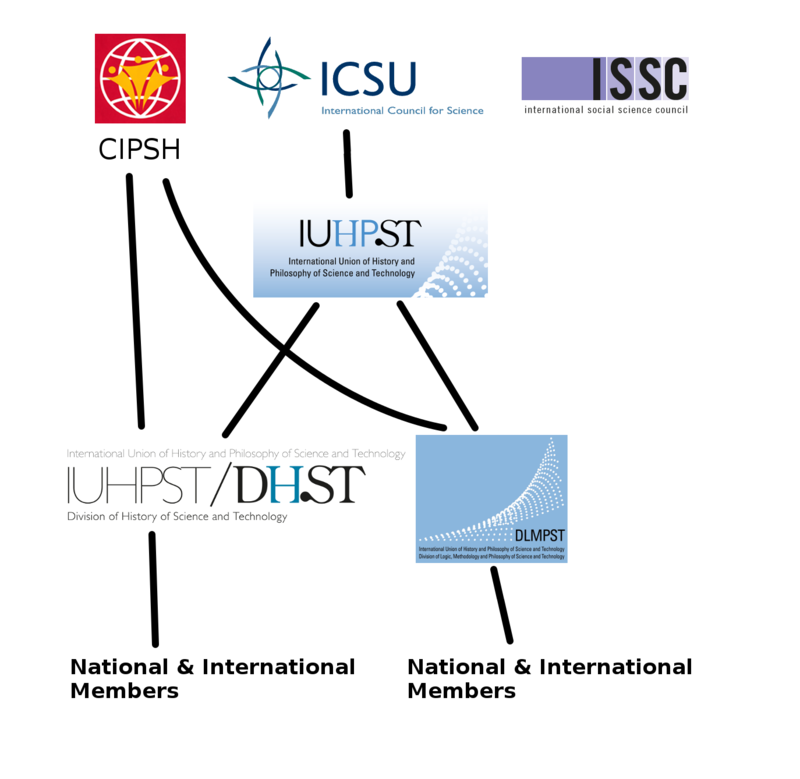 The IUHPST is the International Union of History and Philosophy of Science and Technology. It represents the research fields of history of science and technology and philosophy of science and technology, as well as research studying the foundations and methodology of science and technology in general, including the study of logic. These fields are linked to the natural sciences, the humanities, and the social sciences, and are interdisciplinary in nature. The Union represents both national and international institutions related to these fields. The Union consists of two independent divisions, each with its own membership and governance structure: the Division of History of Science and Technology (DHST) and the Division of Logic, Methodology and Philosophy of Science and Technology (DLMPST). Each of the divisions is an institution in its own right with statutes, members, commissions, and activities. The Union forms an umbrella for the two divisions and uses the governance structure of the divisions for its own purposes according to the Memorandum on the Cooperation of the two divisions. Since the fields represented by the Union touch the sciences, the humanities, and the social sciences, it is natural that the Union is connected to the International Science Council (ISC) and the Conseil International de la Philosophie et des Sciences Humaines (CIPSH). The Union is a member of ISC and both divisions are separately members of CIPSH.